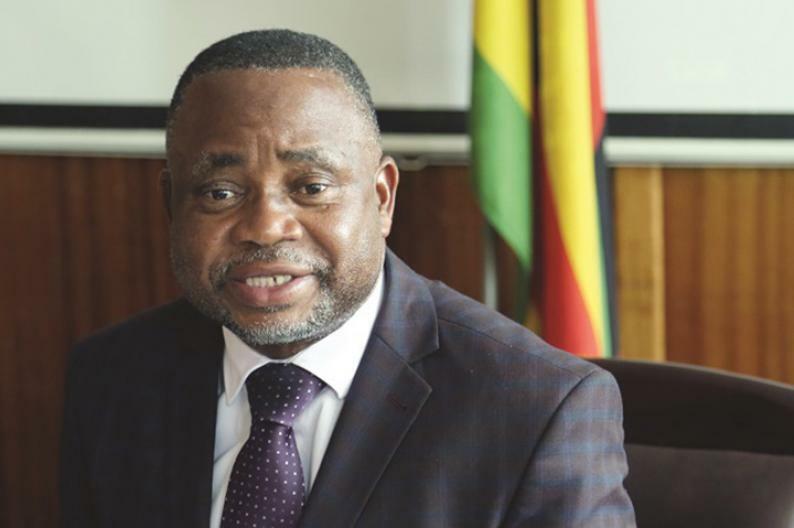 GOVERNMENT targets to fully digitalise about 3 500 schools countrywide within five years in an effort to enhance e-learning and quality education, Primary and Secondary Education Minister Professor Paul Mavima has said. The pilot national digital learning programme was launched yesterday at Daluka Primary School in Lupane where 20 primary and secondary schools received devices that include tablets, laptops, projectors and white boards. Forty more schools in the same district will benefit before the programme expands to Gwanda in Matabeleland South where 40 learning institutions will benefit in the first phase of the programme. Profuture of Spain working with World Vision Spain and Zimbabwe in partnership with Government has provided close to $150 000 for the programme. Speaking at the occasion, Prof Mavima said the programme dovetails with Government's vision to fully digitalise schools within the next five years. "This is sponsored by Profuture Spain working with World Vision Spain and Zimbabwe who have committed to provide e-learning devices such as tablets and servers with content. They are providing at least 48 tablets and laptops as well as audio visual equipment and a projector per school. "We are very happy as they have committed to do 60 schools here in Lupane and 40 in Gwanda which is a very big number, but I have challenged them to do all schools in Lupane," said Prof Mavima. He said Profuture and World Vision had agreed to digitalise all schools in Lupane but implored Government to first electrify the learning institutions. Prof Mavima said Government targets 100 percent digitalisation in schools so that no pupil is left behind. "This programme is in line with our updated curriculum and vision for 100 percent computerisation of our schools. As Government we are targeting disadvantaged schools and we have 3 500 of these. We want to provide Information Communication Technologies devices to bring such schools to the same level with those in urban areas and we have given ourselves a maximum of five years to do this," he said. Fifty percent of schools are computerised countrywide, said the Minister. The devices give access to teaching and learning content with the exception of vernacular subjects. "There is more content for other subjects as that is generic but vernacular has to be developed by teachers. I therefore urge teachers to develop content for local languages so that it can be used in the teaching process," he said. World Vision country director, Mr Emmanuel Isch, said the international organisation will always support the country's education to ensure effective learning. Chief Mabhikwa of Lupane urged the local community to support the project and make sure the gadgets are kept safe for prolonged use. Last week Government introduced a similar project sponsored by Microsoft at Avondale Primary School in Harare while two months ago St Mary's Primary in Hwange was launched as a model eco-school in the country courtesy of World Vision Canada and Learning for Humanity.